Between the 29th of September and the 3rd of October, Amsterdam was the hub of everything Drupal-related. Drupalcon is the name of the event and we were there. We were not alone, by the way: over 2000 “Drupalistas” from every corner of the world were there with us. One cannot deny that Drupalcon has a very loyal following. There are not many open source events that attract as many visitors as Drupalcon does: more than 2000 people are a huge crowd, but in the US, this travelling circus even attracts double that amount. Every year, Drupalcon is held in different locations on different dates. This year, Amsterdam was chosen as the host city for the European edition, while the American edition took place in Austin (Texas). Last year, Portland (Oregon) and Prague were the selected cities. 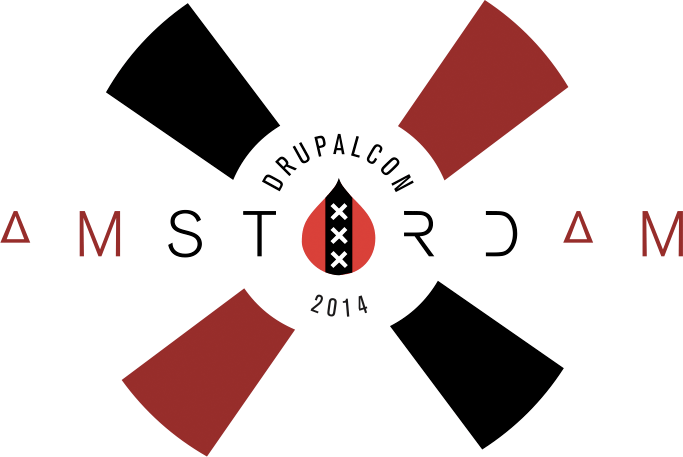 Seeing as this edition of Drupalcon happened so close to home, we decided to contribute by sponsoring the event. 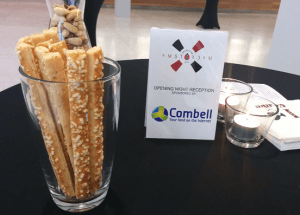 We offered the drinks that were presented during the opening reception on Monday evening. We hope you were there too and enjoyed the event. If that is the case, here is a cordial “cheers”. We are very happy with the feedback we got and can honestly qualify this sponsoring as a success. Romy Vandevelde, who coordinates the sponsoring from a marketing point of view. Thijs Feryn, our evangelist, who is always present to maintain community relations and develop our technical vision. Brecht Ryckaert, one of our support engineers, who uses the latest developments at Drupalcon to optimize the services we deliver to our Drupal customers. Kenneth Everaert, our coding engineer, who advises and supports our clients (as does Brecht), and who specializes in migrations and solving code problems. From our hosting point of view, we were mainly interested in presentations within the context of the “coding & development”, “devops” and “PHP” tracks. A lot can be said about the keynotes as well. True to tradition, Drupalcon started with a fun tandem: first the prenote and then the legendary Driesnote. The prenote is a playful preamble to the actual keynote. This time too, the community was the focal point and the host, Jeffrey A. “Jam” McGuire, delivered a special ambiance and great content. . However enjoyable the prenote was, it was only the appetizer while everybody was waiting for the man of the hour, Dries Buytaert, inventor of Drupal, after whom the Driesnote was named. The attendance for this early session was just spectacular. The gigantic auditorium was by no means large enough to seat everybody. The organisation has gotten used to this and arranges for so-called “overflow rooms”, where one can follow the Driesnote on-screen. We had arrived early, so were able to get seats in the auditorium and witness a keynote in which Dries shared his ideas on ways for Drupal to make even more people contribute to the project. To do so, he used a few socialist metaphors and proved how individuals, agencies and end customers can receive credit for their contributions to the Drupal project. The keynote on Tuesday featured Cory Doctorow, who made a gripping plea for technology-related liberties, privacy and security in our society. In passing, Dries Buytaert also announced the release of the beta 1 version of Drupal 8. Everyone has been waiting for that for a while. Finally, there was the closing speech, in which the new Drupalcons were announced to a crowd in great suspense. The locations will be Bogota (Colombia), Los Angeles and Barcelona. Drupalcon is not all about the sessions. The sense of togetherness makes for social events in the evening that attract quite a crowd. On Monday, there was the opening reception that we sponsored. On Tuesday, a pub crawl circuit was organized along the Amsterdam canals with authentic little boats for transportation. And on Thursday, there was quiz night. These social events are a unique opportunity for networking with people and companies, both local and from abroad. We encountered many customers, partners and friends and look back fondly on this trip to Amsterdam. Amazon purchased .buy, but who will get hold of .app or .book?